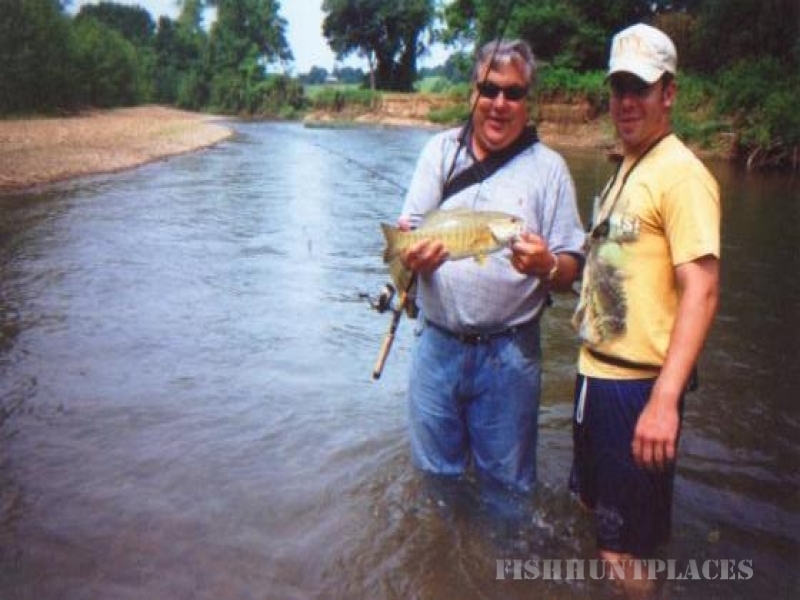 Yellow Creek Lodge is located on the bluff overlooking the scenic clear water Yellow Creek. Four bedroom and two and a half bath lodge will accommodate up to six people. You will notice the decore is primarily trophy mounts that Jerry has collected over the years. We also have an outpost cabin nearby on a smaller creek, for those that like to rough it. We have private access to Yellow Creek through out property and it can easily be navigated by canoe. The creek empties into the Cumberland River about ten miles below our lodge. Frequently, you will see the deer and turkey from the deck of our lodge as they feed in the food plots surrounding the lodge. Also, you may get a glimpse of a resident bald eagle as it soars up and down Yellow Creek. If you are looking for a getaway, we would love to share our lodge and hospitality. We have 525 private acres in the foot hills of Tennessee only 45 miles West of Nashville. 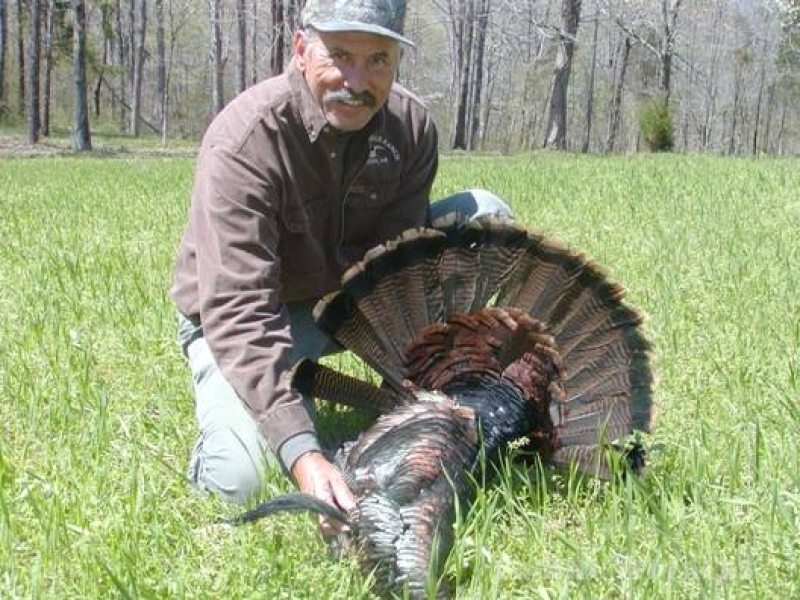 Adjoining our property is a 2000 acre private hunting preserve that is hunted each spring by Knight and Hale. We maintain a mixture of hardwood Oaks with annual and perennial food plots for turkey. We have creeks, ponds, as well as thick habitat for the nesting hens. This year was another good hatch. Last year was a record harvest in Tennessee. We are seeing large flocks now. Come on down and let's call one up! 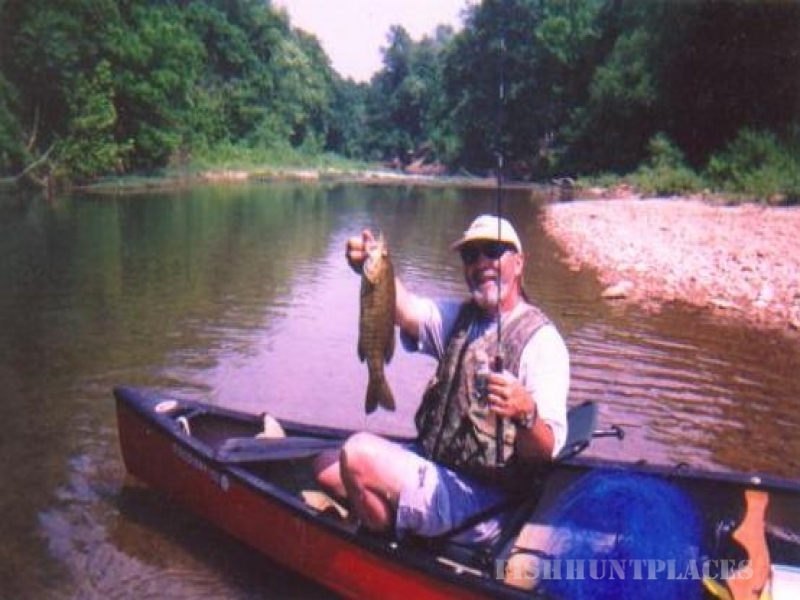 Whether you prefer fly fishing, spin-casting with an ultralight or bow fish, you will find Yellow Creek to be a haven for Small Mouth Bass and Red Eye Perch. Enjoy a four mile float in one of "old town" canoes through the beautiful countryside, where you see very few houses and less people. Looking at the schools of fish come by your canoe in the pristine clear water, you will think you are in an aquarium. We will make your trip a memorable one, then relax with us overnight at our lodge. We are looking forward to seeing you on the creek banks of the world.